July 22nd 2011. Kathryn Hawkins. When an alarm announced that the United States had launched missiles at the Soviet Union, Stanislav Petrov could have pushed the red button to start a full-scale nuclear war. Luckily for all of us, he didn't. Ever heard of Stanislav Yevgrafovich Petrov? Probably not – but you may very well owe him your life. Petrov, a former member of the Soviet military, didn’t actually do anything – but that’s precisely the point. In 1983, Petrov held a very important station: As lieutenant colonel, he was in charge of monitoring the Soviet Union’s satellites over the United States, and watching for any sign of unauthorized military action. This was the Cold War era, and suspicions were high – on September 1st, the Soviet Union had mistakenly shot down a Korean aircraft it had believed to be a military plane, killing 269 civilians, including an American Congressman. The Soviet Union believed that the United States might launch a missile attack at any moment, and that they would be forced to respond with their own arsenal of nuclear weapons. According to the system, the United States had launched five missiles, which were rapidly heading into Soviet territory. The U.S.S.R. was under attack. 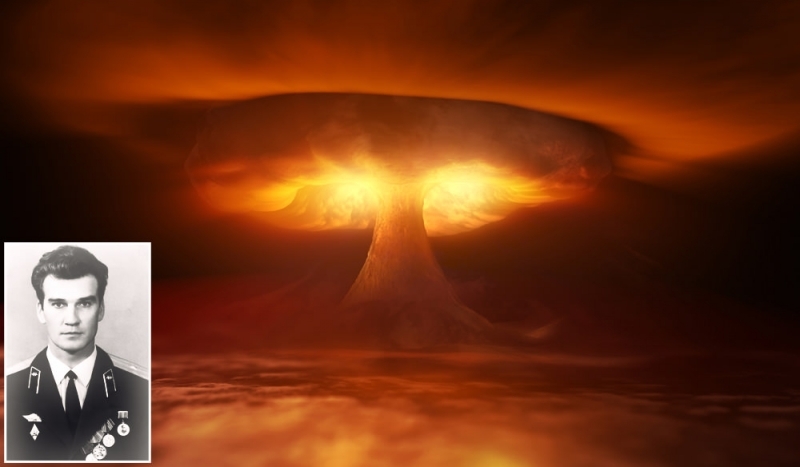 All Petrov had to do was push the flashing red button on the desk in front of him, and the Soviets would retaliate with their own battery of missiles, launching a full-scale nuclear war. Though the bunker atmosphere was chaotic, Petrov, who had trained as a scientist, took the time to analyze the data carefully before making his decision. He realized that, if the U.S. did attack, they would be unlikely to launch a mere five missiles at once. And when he studied the system’s ground-based radar, he could see no evidence of oncoming missiles. Luckily for all of us, he decided not to push that button. Later, his instincts were proven right – the malfunctioning system had given him a false alarm, and the U.S. had not deployed any missiles. Thanks to Petrov’s cool head, nuclear war had been narrowly averted, and millions of lives were saved. Unfortunately, Petrov didn’t exactly receive a heroic reward from the Soviet military: Embarrassed by their own mistakes, and angry at Petrov for breaking military protocol, they forced him into early retirement with a pension of $200 a month. Petrov’s brave act was kept secret from the outside world until the 1998 publication of a book by one of Petrov’s fellow officers, who witnessed his courage on that terrifying night. Since the book’s publication, Petrov has been honored by the United Nations and presented with a World Citizen Award, and there has been talk of giving him the Nobel Prize. Still, the humble Russian scientist plays down his role in averting a nuclear crisis: “I was simply the right person in the right time, that was all,” he said in the upcoming documentary, The Red Button and the Man Who Saved the World. We’ve got to disagree with him. Sure, he may have done nothing – but in this case, it might just be the hardest thing to do. © 2007–2019 Eucalypt Media, LLC. All Rights Reserved.